(Bridgewater, N.J., April 4, 2018) - The Somerset Patriots have signed four-year Major League left-handed pitcher Brett Oberholtzer for the 2018 season. Oberholtzer enters his first season with the Somerset Patriots and first in the Atlantic League. The 6’1” southpaw has four years of service in the Majors, including three with the Houston Astros (2013-15) and one split between the Philadelphia Phillies and Los Angeles Angels of Anaheim (2016). 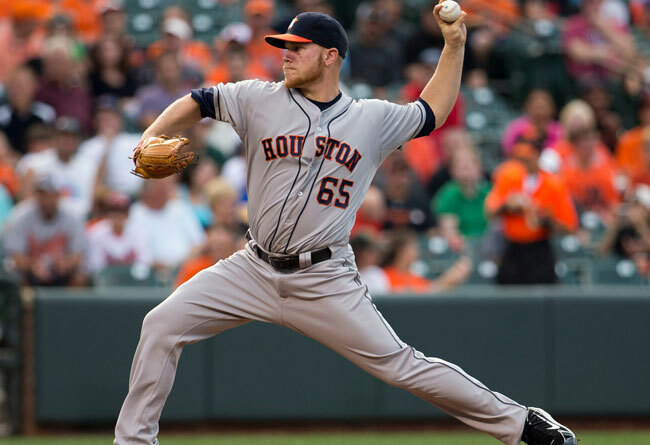 In his first season with the Astros, Oberholtzer posted four wins and a 2.76 ERA over 13 games (10 starts) with two complete games and one shutout. Additionally, he only walked 13 batters over 71.2 innings of work. The Christiana, Delaware native took over as a full-time starting pitcher for the Astros the next season, striking out 94 batters against just 28 walks over 24 starts. He later made eight starts for Houston in 2015 before making 37 combined appearances (two starts) for the Phillies and Angels in 2016. He has won 14 games with a 4.36 ERA and 220 strikeouts over 324 innings pitched in his four seasons in the big leagues. Oberholtzer made 24 starts for Triple-A Buffalo (Toronto Blue Jays) last year. He has pitched exclusively at either the Major League or Triple-A level in each of the past five seasons. The Seminole Community College alum is 55-53 with a 3.90 ERA, 1.27 WHIP and 708 strikeouts over nine seasons of minor league baseball.